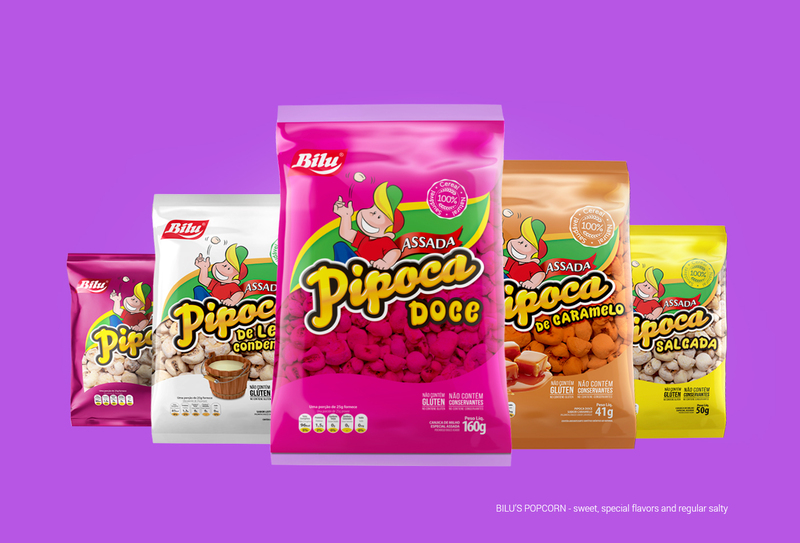 We were hired to develop snacks and popcorn package design for Pipoca Bilu, sales leader in the snack segment in south Brazil. 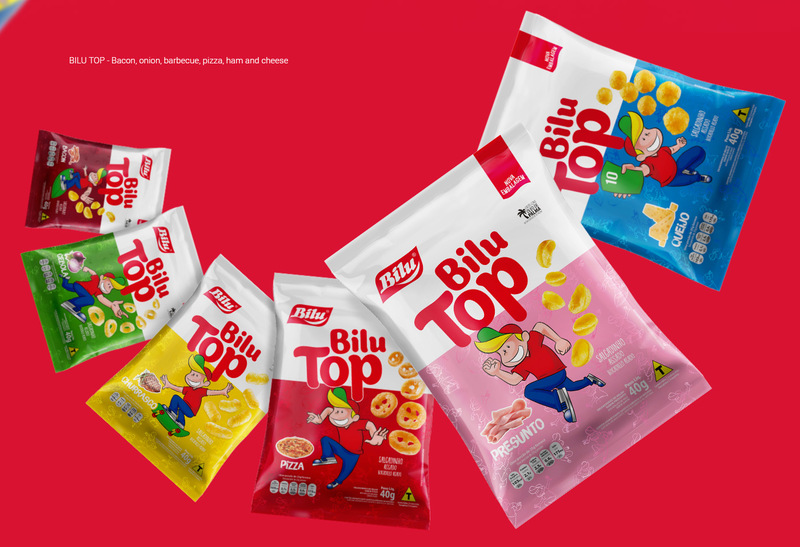 Bilu Popcorn and all the brand`s other lines of snacks needed to undergo revitalization and standardization. Their packages have always had the magenta color, the character and the typography as defining characteristics. We could not ignore this visual heritage that has been built since 1978. In fact, Bilu Popcorn is part of many people`s childhood. This creates a very strong emotional bond. However, new generations didn`t have those references. The brand needed to modernize itself to gain competitiveness without losing identity. So, we decided to maintain the original elements and colors. In this way we began our delicious journey creating package design for Bilu´s popcorn and snacks. First we carried out a market research and evaluation of direct and indirect competitors. To understand signs used in competitors packages helps to better direct the product to target consumers. It is important to realize that each public has its own visual repertoire. This is how we defined which patterns packages should adopt. Always taking care of their identifying characteristics. All popcorn packages from all the other flavours of the popcorn line followed the same design from the original package. As a result, the brand image got stronger, standardized and with a distinctive visual appeal. 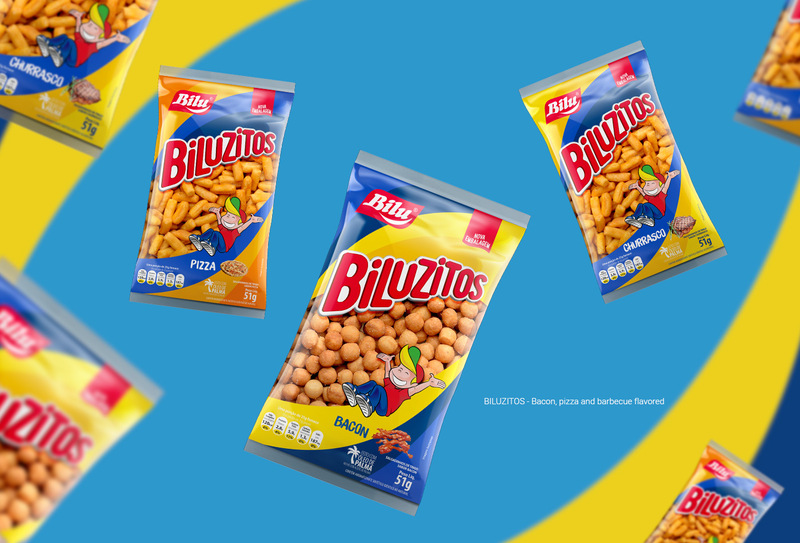 The lines of Biluzito`s fried wheat snacks and Bilu Top´s baked corn snacks went through similar improvement processes, always aiming standardization, modernization and increase in visibility in poins of sale.